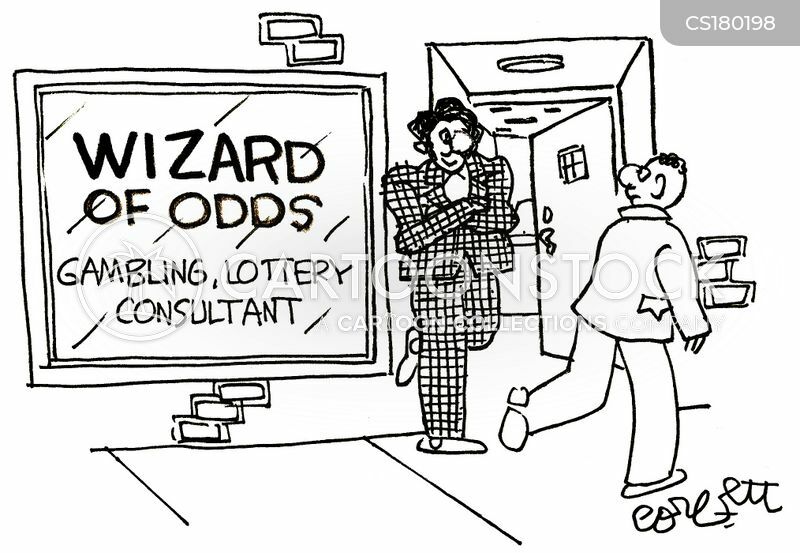 "If I won the lottery, I would go on living as I always did." 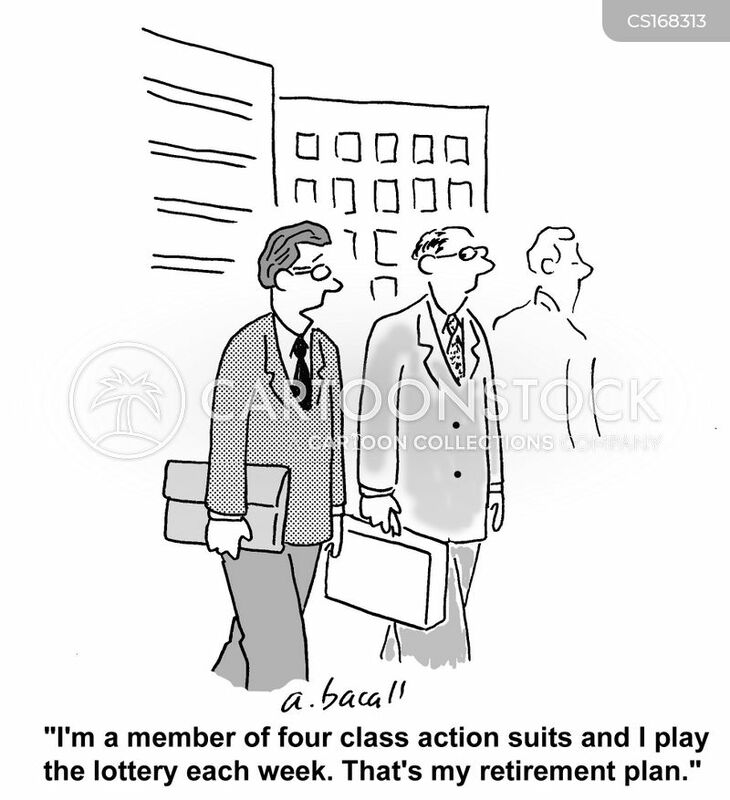 I'm a member of four class action suits and I play the lottery each week. 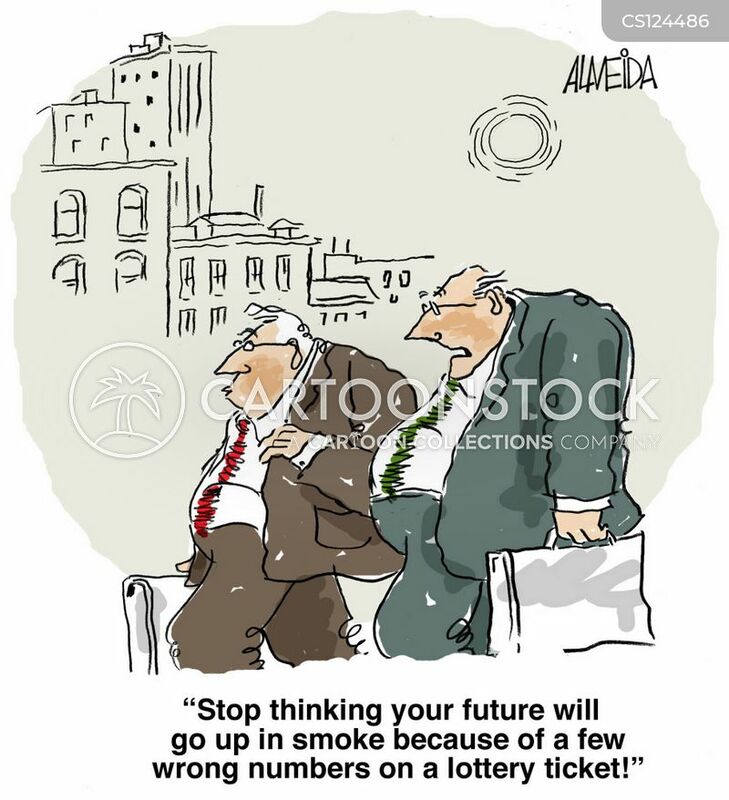 That's my retirement plan. 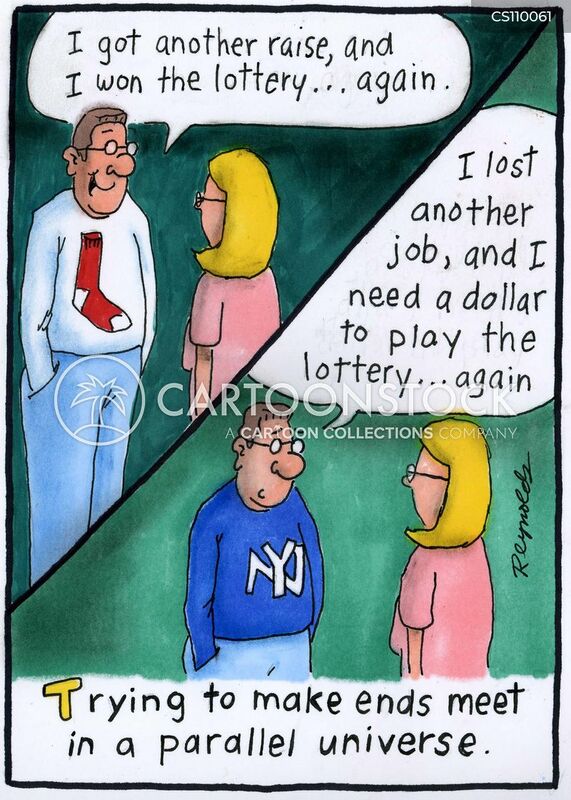 Trying to make ends meet in a parallel universe. 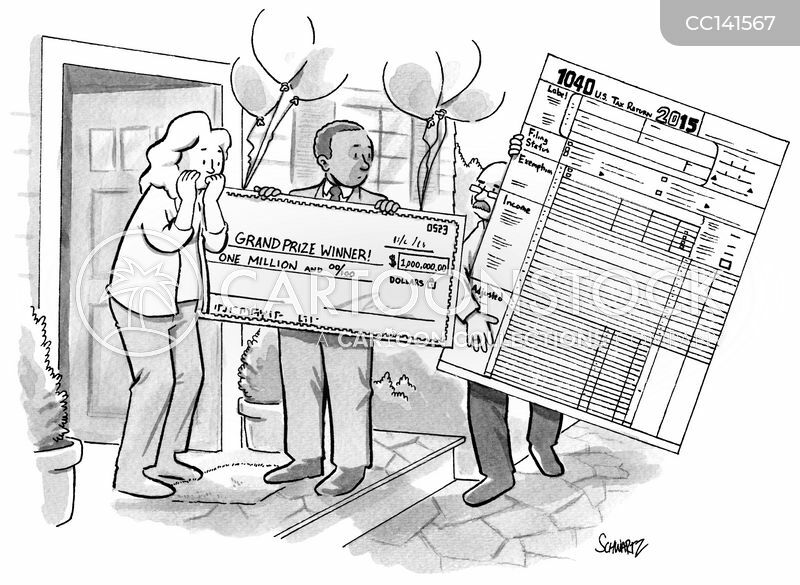 A man shows up to a lottery winner's door with a 1040 form. 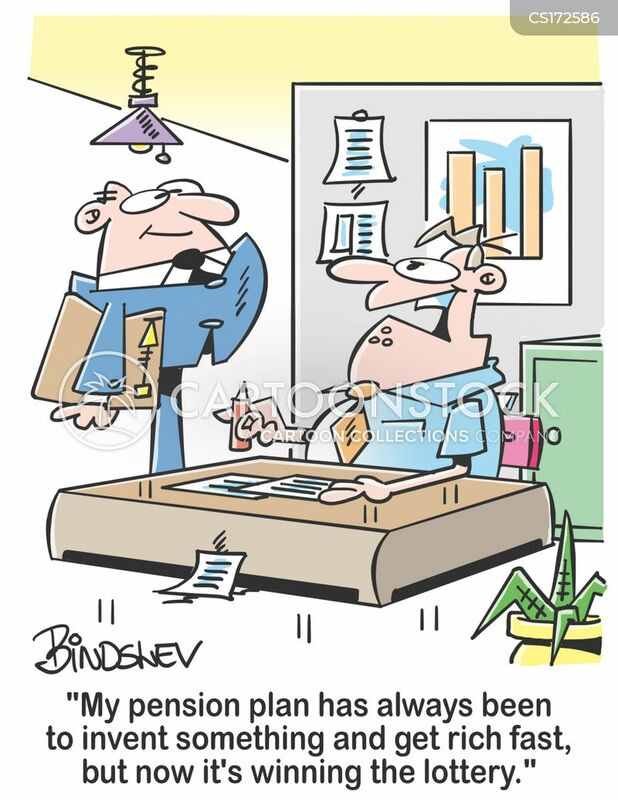 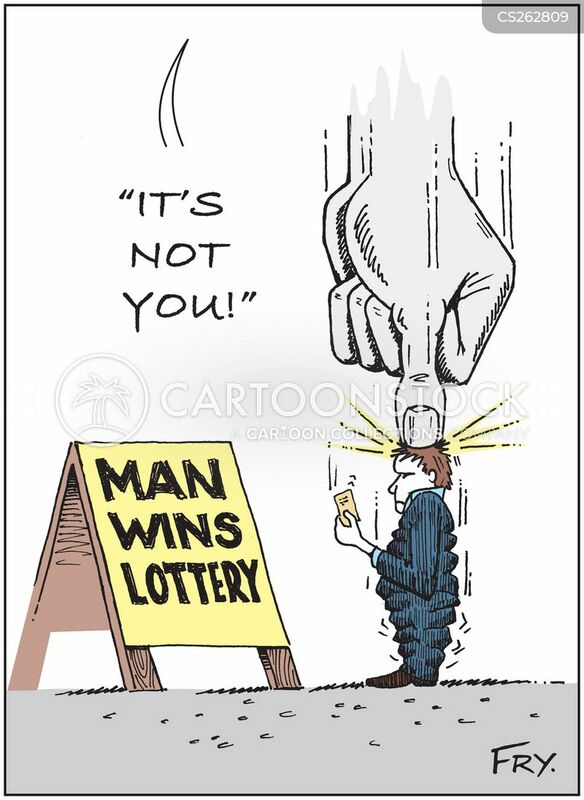 "My pension plan has always been to invent something and get rich fast, but now it's winning the lottery." 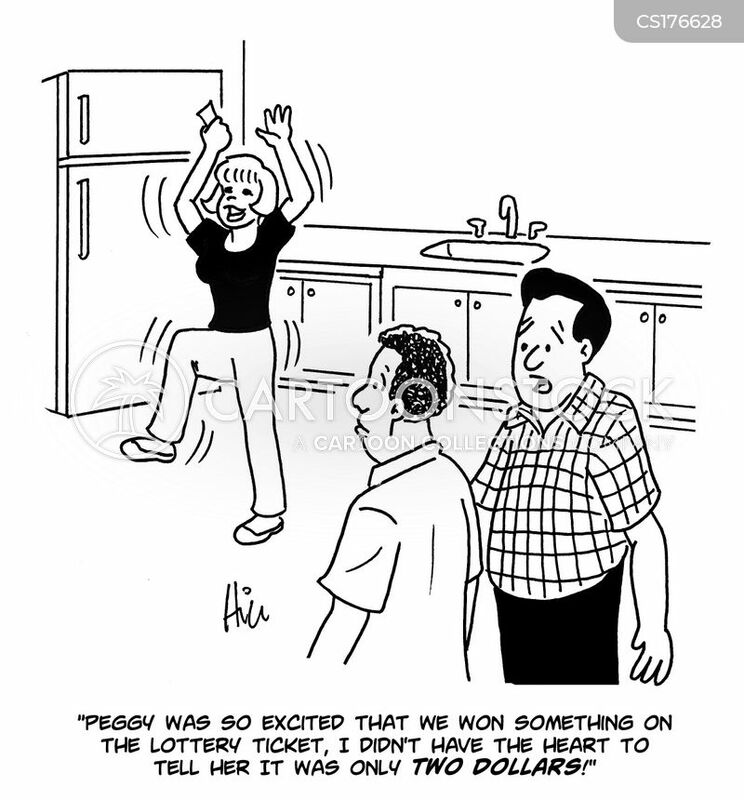 "Peggy was so excited that we won something on the lottery ticket, I didn't have the heart to tell her it was only two dollars!" 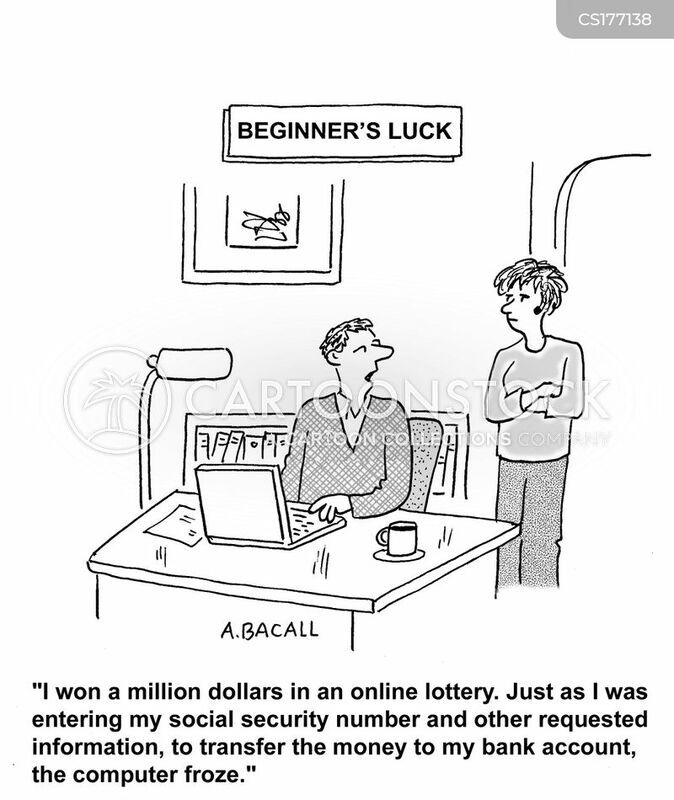 "I won a million dollars in an online lottery, and as I was tranferring the money to my bank account, the computer froze." 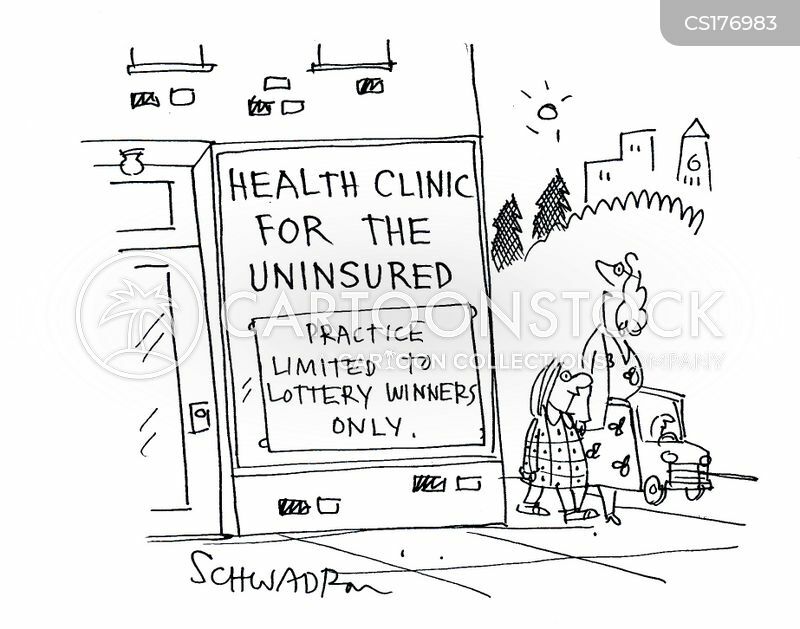 'Health Clinic for the insured: Practice limited to lottery winners only. 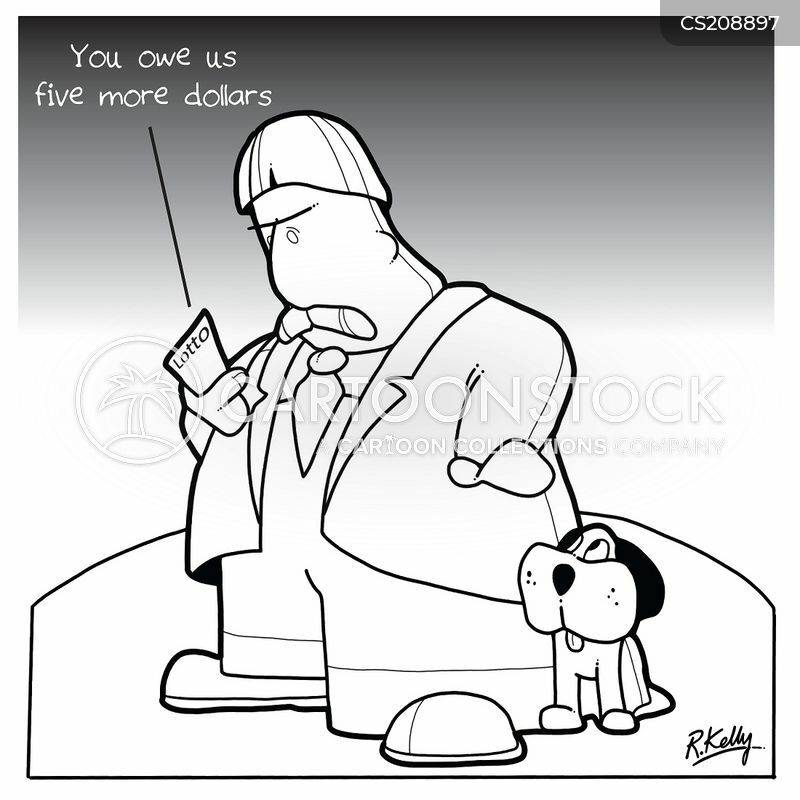 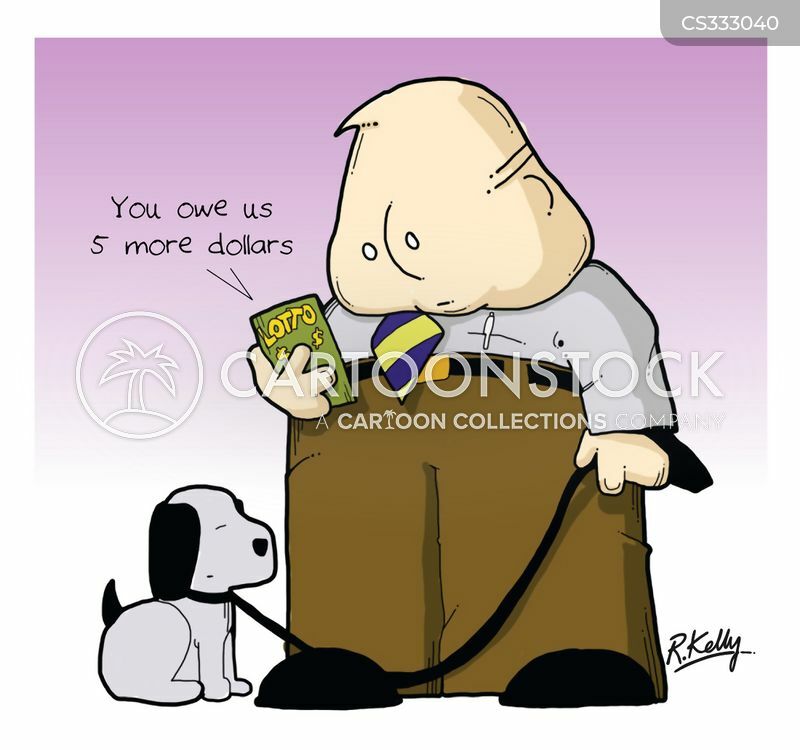 "You owe us five more dollars." 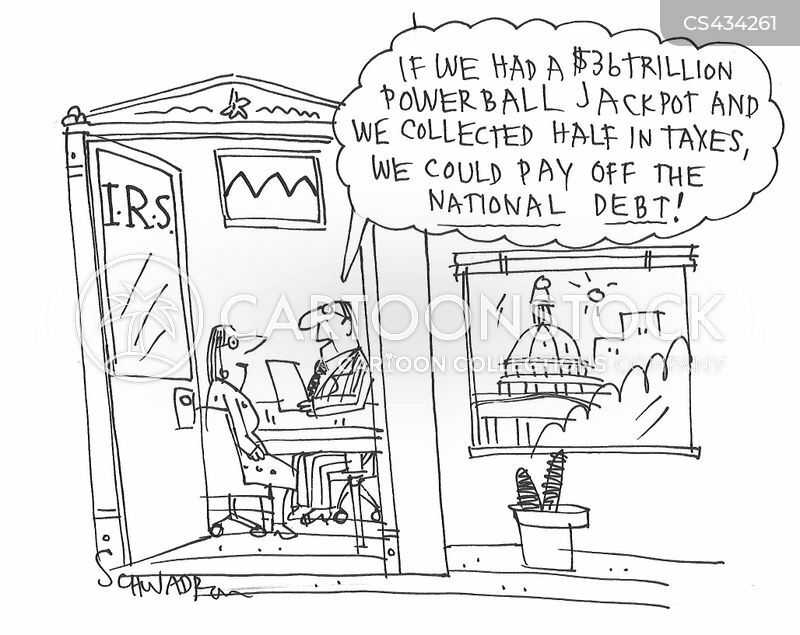 "if we had a $36 trillion powerball jackpot and we collected half in taxes, we could pay off the national debt!" 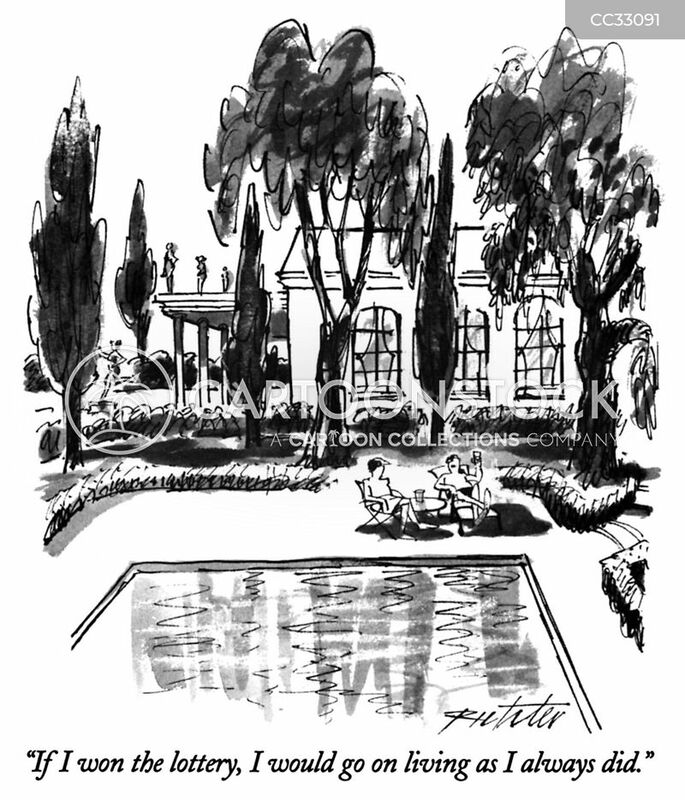 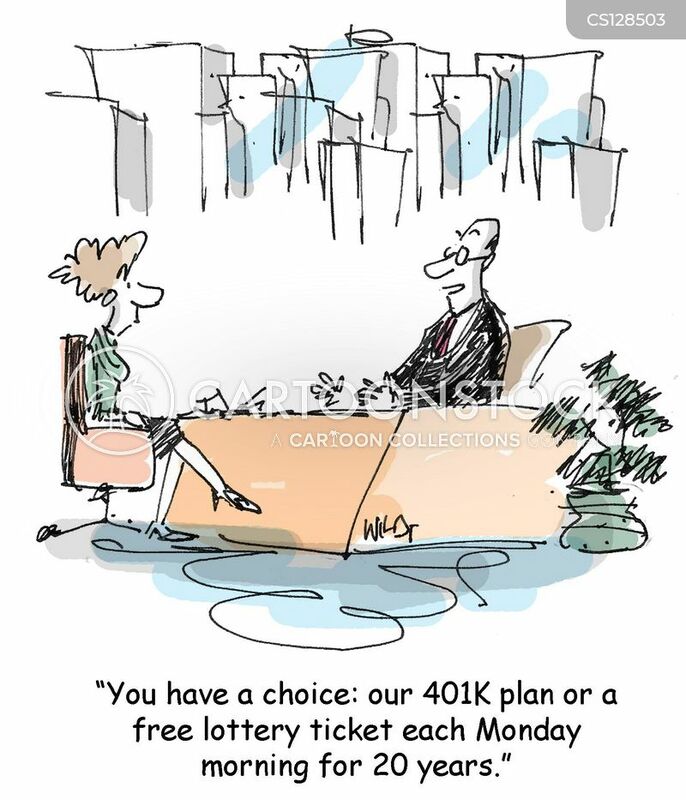 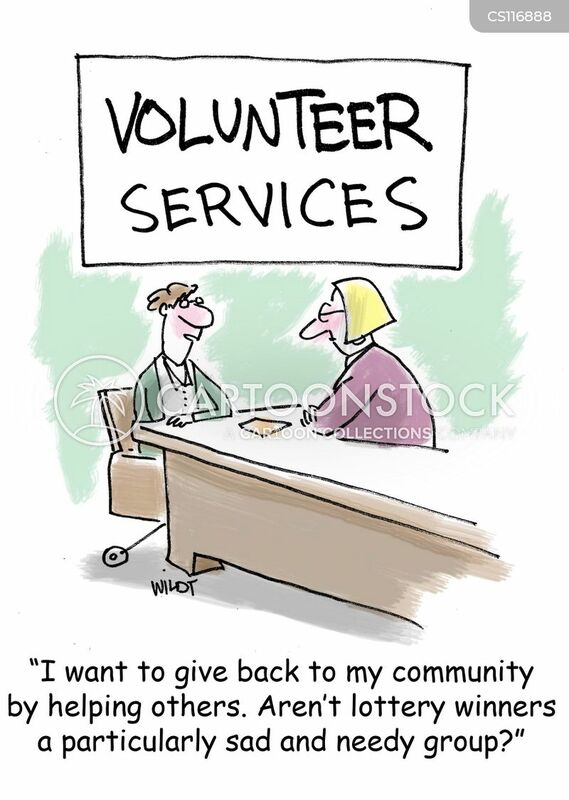 "You have a choice - our 401k plan or a free lottery ticket each Monday morning for 20 years." 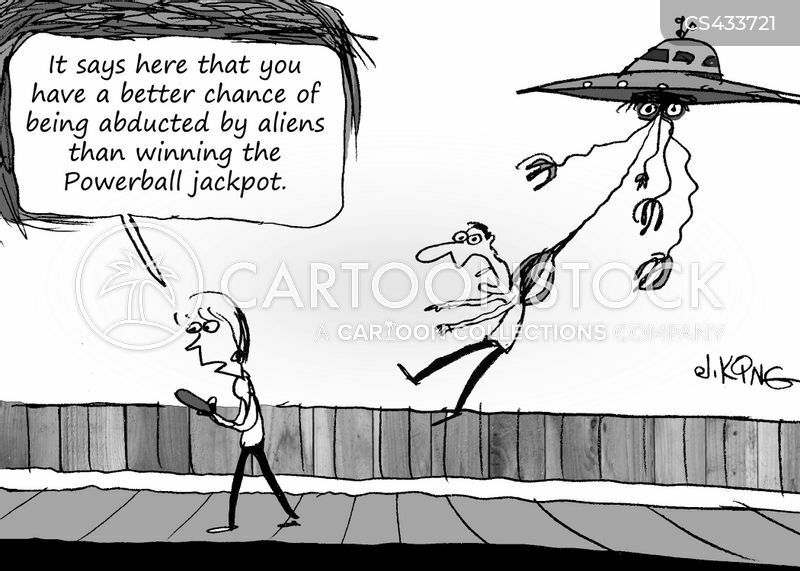 "It says here that you have a better chance of being abducted by aliens than winning the Powerball jackpot." 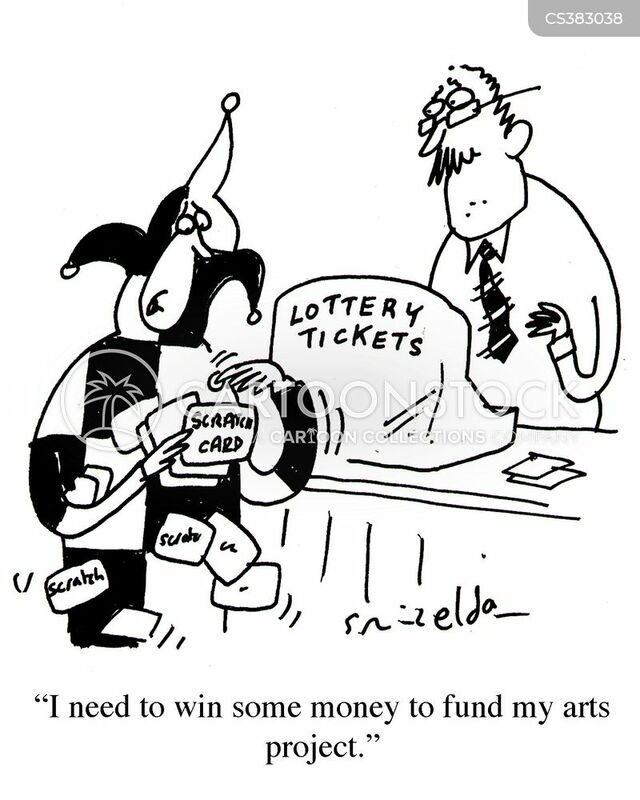 Jester with scratch cards. 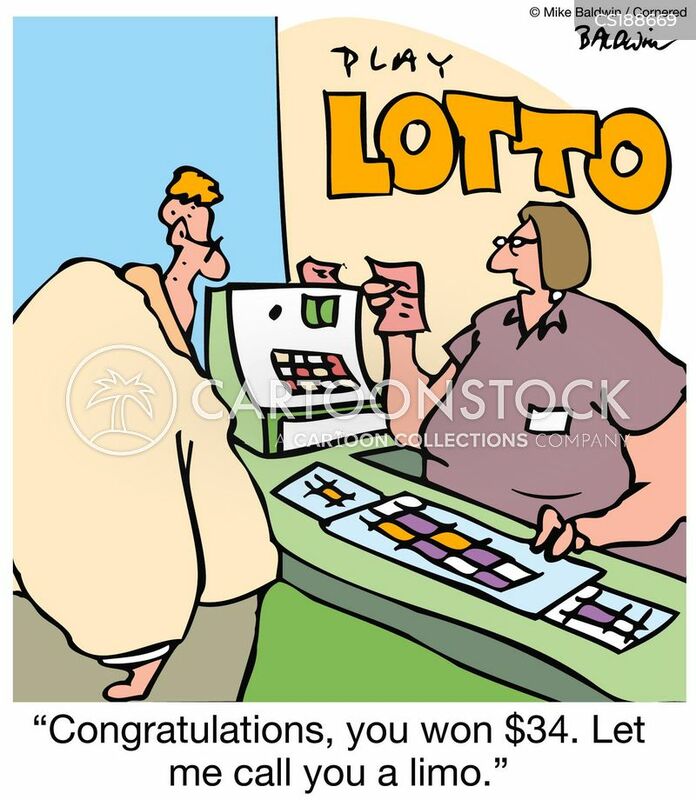 "I need to win some money to fund my arts project." 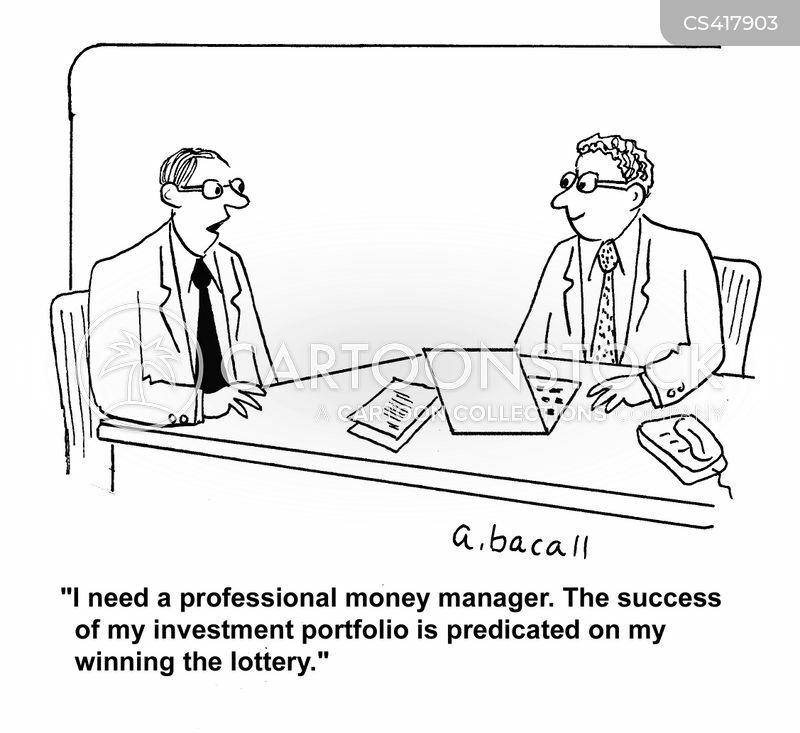 "I need a professional money manager. 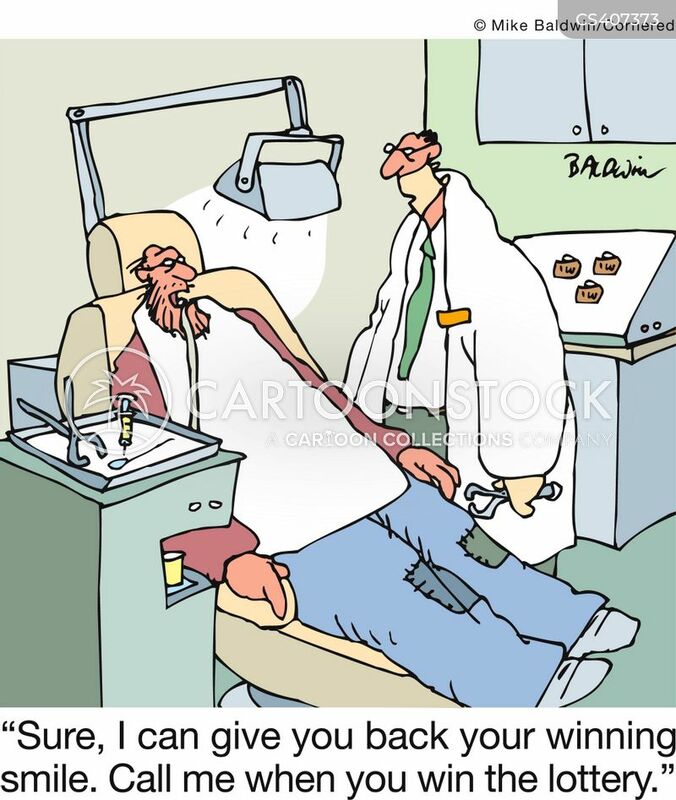 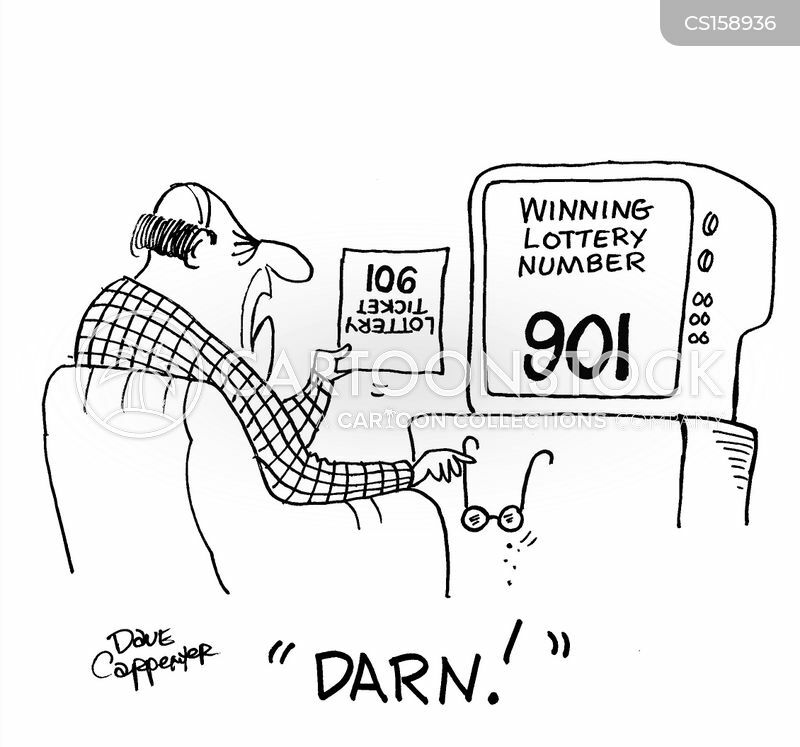 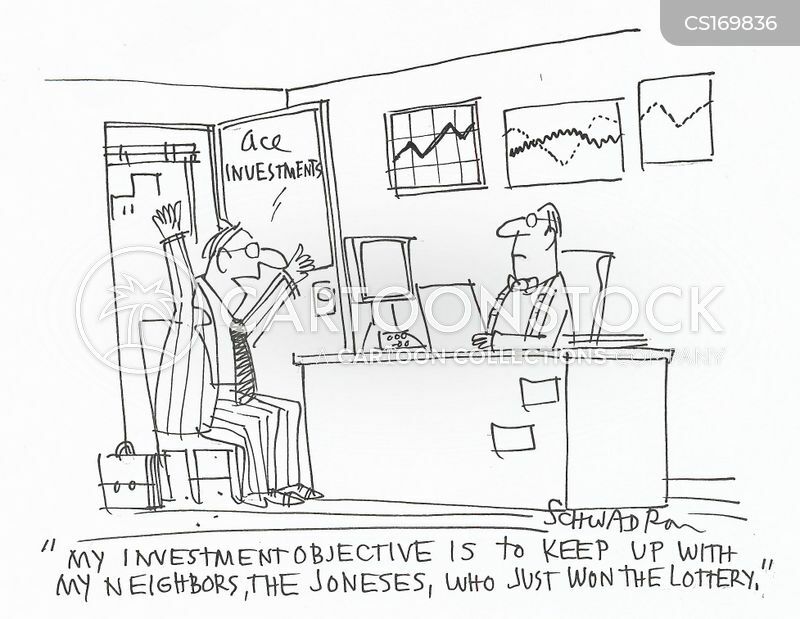 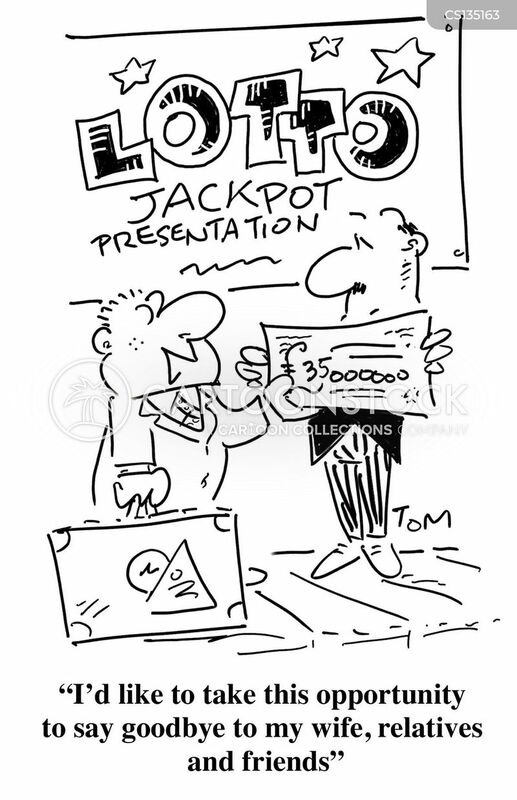 The success of my investment portfolio is predicated on my winning the lottery." 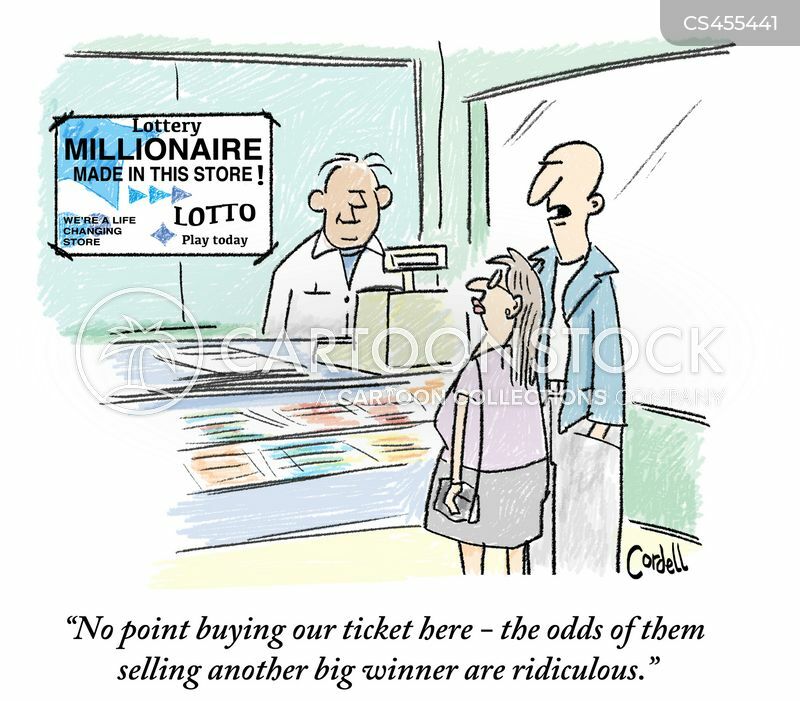 "No point buying our ticket here - the odds of them selling another big winner are ridiculous."